A Bedale company is one of the latest to benefit from a district council scheme which helps graduates get on the jobs ladder. 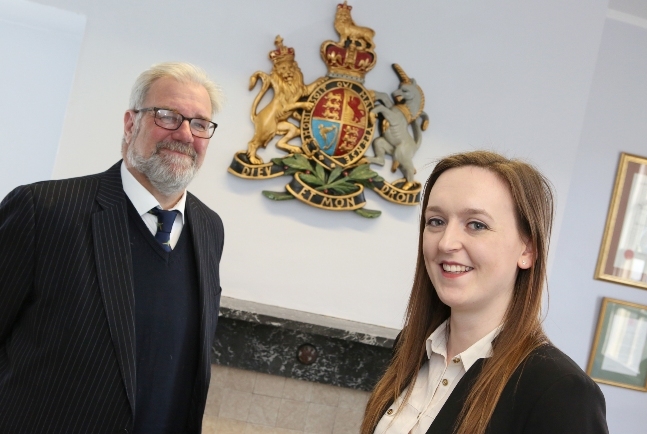 Laura Mellis has completed her first six months with Emplaw Solutions – using her Masters degree in Human Resources in the small market town business. Emplaw has received £4000 from the Hambleton District Council scheme which helps local businesses take on graduates. The business specialises in HR and safeguarding for care homes, schools, day nurseries and small businesses. “Having a graduate has given us a fresh pair of eyes in the business,” said Kelly Fryer, office manager. And Coun Peter Wilkinson, deputy leader of the Council, said: “The Hambleton scheme was launched in January 2015 and so far 28 graduates have been appointed across 21 businesses in the district. The scheme is open to businesses with less than 250 employees with the internship lasting for at least six months. The minimum wage subsidy is £2,000 – maximum £4,000 – which can include a support grant for equipment of £1,000 based on match funding.